[S28] James Alonzo Matthews, Jr. and Lucille Pearce, comps., Pearce, Bartlett, Matthews, Smart, and Allied Families (Austin, Tex. : Eakin Publications, Inc., 1983), p. 121 (naming Lillie Grace Tabor as her mother). [S961] Find A Grave, online at http://www.findagrave.com, memorial for Susan Frances Hambright Ryle, memorial no. 30388156, viewed on 26 Aug 2013 (stating that she was born on 21 Nov 1913 "near Hardin (Morton) Missouri"). [S961] Find A Grave, online, above, memorial for Susan Frances Hambright Ryle, memorial no. 30388156, viewed on 26 Aug 2013 (not giving the date or place). [S961] Find A Grave, online, above, memorial for Raymond S. Ryle, memorial no. 60611242, viewed on 26 Aug 2013 (not giving the date or place). [S961] Find A Grave, online, above, memorial for Susan Frances Hambright Ryle, memorial no. 30388156, viewed on 26 Aug 2013. [S961] Find A Grave, online, above, memorial for Susan Frances Hambright Ryle, memorial no. 30388156, viewed on 26 Aug 2013 (giving her name as Susan Frances Hambright Ryle). [S961] Find A Grave, online, above, memorial for Susan Frances Hambright Ryle, memorial no. 30388156, viewed on 26 Aug 2013 (naming Susan Frances Hambright as her mother). [S28] James Alonzo Matthews, Jr. and Lucille Pearce, comps., Pearce, Bartlett, Matthews, Smart, and Allied Families (Austin, Tex. : Eakin Publications, Inc., 1983), p. 121 (naming John Elliott Hambright, Sr. as this child's father). [S961] Find A Grave, online at http://www.findagrave.com, memorial for Susan Frances Hambright Ryle, memorial no. 30388156, viewed on 26 Aug 2013. [S28] James Alonzo Matthews, Jr. and Lucille Pearce, comps., Pearce, Bartlett, Matthews, Smart, and Allied Families (Austin, Tex. : Eakin Publications, Inc., 1983), pp. 121, 122 (naming John Elliott Hambright, Sr. as her father). [S961] Find A Grave, online at http://www.findagrave.com, memorial for Annie [sic] Louise Jones, memorial no. 54096745, viewed on 26 Aug 2013 (giving the date but not the place). [S28] James Alonzo Matthews, Jr. et al., Pearce [etc.] and Allied Families, above, p. 122. [S961] Find A Grave, online, above, memorial for Annie [sic] Louise Jones, memorial no. 54096745, viewed on 26 Aug 2013 (based on inscription on common grave marker pictured on her memorial) (giving the date but not the place). [S961] Find A Grave, online, above, memorial for Elmer Lee Jones, memorial no. 54096660, viewed on 26 Aug 2013 (based on inscription on common grave marker pictured on his memorial) (giving the date but not the place). [S961] Find A Grave, online, above, memorial for Annie [sic] Louise Jones, memorial no. 54096745, viewed on 26 Aug 2013. [S28] James Alonzo Matthews, Jr. et al., Pearce [etc.] and Allied Families, above, p. 121 (giving her name as Anna Louise Hambright). [S28] James Alonzo Matthews, Jr. and Lucille Pearce, comps., Pearce, Bartlett, Matthews, Smart, and Allied Families (Austin, Tex. : Eakin Publications, Inc., 1983), p. 121 (naming John Elliott Hambright, Sr. as her father). [S961] Find A Grave, online at http://www.findagrave.com, memorial for Matilda Virginia Hambright, memorial no. 7581834, viewed on 26 Aug 2013. [S961] Find A Grave, online at http://www.findagrave.com, memorial for Mary Kathryn Hambright, memorial no. 7581833, viewed on 26 Aug 2013. • His obituary is on the funeral home's web site. [S28] James Alonzo Matthews, Jr. and Lucille Pearce, comps., Pearce, Bartlett, Matthews, Smart, and Allied Families (Austin, Tex. : Eakin Publications, Inc., 1983), p. 121 (naming John Elliott Hambright, Sr. as his father). [S961] Find A Grave, online at http://www.findagrave.com, memorial for John Elliott Hambright, Jr., memorial no. 44345506, viewed on 26 Aug 2013. [S28] James Alonzo Matthews, Jr. and Lucille Pearce, comps., Pearce, Bartlett, Matthews, Smart, and Allied Families (Austin, Tex. : Eakin Publications, Inc., 1983), p. 121. [S961] Find A Grave, online at http://www.findagrave.com, memorial for Susan Frances Hambright Ryle, memorial no. 30388156, viewed on 26 Aug 2013 (suggesting by her surname that Hayward Lee Thomas was her father). • His Find A Grave memorial, which includes pictures of his grave markers, is here. [S961] Find A Grave, online at http://www.findagrave.com, memorial for Raymond S. Ryle, memorial no. 60611242, viewed on 26 Aug 2013 (giving the date but not the place). [S961] Find A Grave, online, above, memorial for Raymond S. Ryle, memorial no. 60611242, viewed on 26 Aug 2013. [S961] Find A Grave, online, above, memorial for Raymond S. Ryle, memorial no. 60611242, viewed on 26 Aug 2013 (based on plaque on grave marker as shown in picture accompanying his memorial). Note*: She and Mary Sue Thomas were twins and were deceased by the time of their mother's death on 5 Oct 2008. [S961] Find A Grave, online, above, memorial for Virginia Lue [sic] Thomas, memorial no. 7581952, viewed on 26 Aug 2013. [S961] Find A Grave, online, above, memorial for Virginia Lue [sic] Thomas, memorial no. 7581952, viewed on 26 Aug 2013 (giving her name as Virginia Lue Thomas). [S961] Find A Grave, online, above, memorial for Mary Sue Thomas, memorial no. 7581953, viewed on 26 Aug 2013. [S28] James Alonzo Matthews, Jr. and Lucille Pearce, comps., Pearce, Bartlett, Matthews, Smart, and Allied Families (Austin, Tex. : Eakin Publications, Inc., 1983), p. 122 (naming Edward Jones as his father). [S28] James Alonzo Matthews, Jr. et al., Pearce [etc.] and Allied Families, above, p. 122 (naming Vessie Ann Wilaon as his mother). [S961] Find A Grave, online at http://www.findagrave.com, memorial for Elmer Lee Jones, memorial no. 54096660, viewed on 26 Aug 2013 (giving the date but not the place). [S961] Find A Grave, online, above, memorial for Elmer Lee Jones, memorial no. 54096660, viewed on 26 Aug 2013. Marriage*: He married Vessie Ann Wilson. Marriage*: She married Edward Jones. Other Names*: Vessie Wilson, Vessie Ann Wilson Jones, Vessie Ann Jones, Vessie Jones, Vessie Wilson Jones. [S28] James Alonzo Matthews, Jr. and Lucille Pearce, comps., Pearce, Bartlett, Matthews, Smart, and Allied Families (Austin, Tex. : Eakin Publications, Inc., 1983), p. 122 (naming Vessie Ann Wilaon as his mother). Marriage*: She married Virbal Baskum Bartlett, son of Jessie Ferguson Bartlett and Ella Vitura ('Tura') Crabtree, on 23 March 1940. Scrapbook*: "She has a host of friends gained by her pleasing personality and winning smile." [S961] Find A Grave, online at http://www.findagrave.com, memorial for Ruth Orlena Dorough Bartlett, memorial no. 113930865, viewed on 27 Aug 2013. [S961] Find A Grave, online, above, memorial for Ruth Orlena Dorough Bartlett, memorial no. 113930865, viewed on 27 Aug 2013 (giving her name as Ruth Orlena Dorough Bartlett). [S961] Find A Grave, online at http://www.findagrave.com, memorial for William T. Magee, memorial no. 55455181, viewed on 2 Sep 2013 (naming James Purdee Magee, Sr. as his father). [S961] Find A Grave, online, above, memorial for William T. Magee, memorial no. 55455181, viewed on 2 Sep 2013 (naming Elizabeth Lucetta Owens as his mother). Other Names*: George Henry Sweet, George Sweet. • His Find A Grave memorial, which includes pictures of his burial site, is here. [S961] Find A Grave, online at http://www.findagrave.com, memorial for George Henry Sweet, memorial no. 35519080, viewed on 2 Sep 2013 (naming George Henry Sweet as his father). [S961] Find A Grave, online, above, memorial for George Henry Sweet, memorial no. 35519080, viewed on 2 Sep 2013. Marriage*: He married Elizabeth Lucetta Owens. Marriage*: She married James Purdee Magee Sr.
Other Names*: Elizabeth Owens, Elizabeth Lucetta Owens Magee, Elizabeth Lucetta Magee, Elizabeth Owens Magee, Elizabeth Magee. 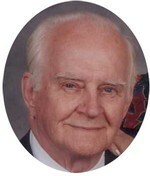 Family: James Purdee Magee Sr.
[S961] Find A Grave, online at http://www.findagrave.com, memorial for William T. Magee, memorial no. 55455181, viewed on 2 Sep 2013 (naming Elizabeth Lucetta Owens as his mother). Marriage*: He married Elizabeth ('Lizzie') Thompson. Marriage*: She married George Henry Sweet. Other Names*: Elizabeth Thompson, Lizzie Thompson, Elizabeth Thompson Sweet, Elizabeth Sweet, Lizzie Thompson Sweet, Lizzie Sweet. Other Names*: Samirah Beard, Samirah Beard Hunter, Samirah Hunter. [S961] Find A Grave, online at http://www.findagrave.com, memorial for Robert Hancock Hunter, memorial no. 30732316, viewed on 2 Sep 2013. [S961] Find A Grave, online at http://www.findagrave.com, memorial for James Franklin Payne, memorial no. 8393670, viewed on 10 Sep 2013. [S961] Find A Grave, online, above, memorial for Eugenia Helton Payne, memorial no. 8393665, viewed on 10 Sep 2013. [S961] Find A Grave, online, above, memorial for Sherman Lee Payne, Sr., memorial no. 8393683, viewed on 10 Sep 2013 (naming James Franklin Payne as his father). [S961] Find A Grave, online, above, memorial for James Franklin Payne, memorial no. 8393670, viewed on 10 Sep 2013 (naming James Franklin Payne as his father). [S961] Find A Grave, online at http://www.findagrave.com, memorial for Eugenia Helton Payne, memorial no. 8393665, viewed on 10 Sep 2013. [S961] Find A Grave, online, above, memorial for James Franklin Payne, memorial no. 8393670, viewed on 10 Sep 2013. [S961] Find A Grave, online, above, memorial for Sherman Lee Payne, Sr., memorial no. 8393683, viewed on 10 Sep 2013 (naming Eugenia Helton as his mother). [S961] Find A Grave, online, above, memorial for Eugenia Helton Payne, memorial no. 8393665, viewed on 10 Sep 2013 (naming Eugenia Helton as his mother). • His Find A Grave memorials, both of which include a picture of his grave marker, are here and here. [S28] James Alonzo Matthews, Jr. and Lucille Pearce, comps., Pearce, Bartlett, Matthews, Smart, and Allied Families (Austin, Tex. : Eakin Publications, Inc., 1983), p. 124 (naming Willis Willeford as his father). [S28] James Alonzo Matthews, Jr. et al., Pearce [etc.] and Allied Families, above, p. 124 (naming Polly Amy Long as his mother). [S28] James Alonzo Matthews, Jr. et al., Pearce [etc.] and Allied Families, above, p. 124. [S961] Find A Grave, online at http://www.findagrave.com, memorial for William Willis Willeford, memorial no. 55902696, viewed on 14 Sep 2013. [S961] Find A Grave, online, above, memorial for Wm. Willis Willeford, memorial no. 16262346, viewed on 14 Sep 2013 (but stating that he was born on 29 May 1866 and not giving the place). [S961] Find A Grave, online, above, memorial for Learh Rose Willeford, memorial no. 66013624, viewed on 14 Sep 2013 (not giving the date or place). [S961] Find A Grave, online, above, memorial for William Willis Willeford, memorial no. 55902696, viewed on 14 Sep 2013 (not giving the date or place). [S961] Find A Grave, online, above, memorial for L Rosetta Willeford, memorial no. 16262355, viewed on 14 Sep 2013 (not giving the date or place). [S28] James Alonzo Matthews, Jr. et al., Pearce [etc.] and Allied Families, above, p. 124 (stating that he died on 2 Nov 1934 on his farm). [S961] Find A Grave, online, above, memorial for William Willis Willeford, memorial no. 55902696, viewed on 14 Sep 2013 (stating that he died on 20 Nov 1934 in Madison County, Illinois). [S961] Find A Grave, online, above, memorial for Wm. Willis Willeford, memorial no. 16262346, viewed on 14 Sep 2013 (giving the date but not the place). [S961] Find A Grave, online, above, memorial for Wm. Willis Willeford, memorial no. 16262346, viewed on 14 Sep 2013. [S28] James Alonzo Matthews, Jr. et al., Pearce [etc.] and Allied Families, above, p. 124 (naming William Willis Willeford as her father). [S28] James Alonzo Matthews, Jr. et al., Pearce [etc.] and Allied Families, above, pp. 124-25 (naming William Willis Willeford as her father). [S28] James Alonzo Matthews, Jr. et al., Pearce [etc.] and Allied Families, above, pp. 124-25 (naming William Willis Willeford as his father). Marriage*: He married Polly Amy Long. [S961] Find A Grave, online at http://www.findagrave.com, memorial for Willis Willeford, memorial no. 16262277, viewed on 14 Sep 2013. Marriage*: She married Willis Willeford. Other Names*: Polly Long, Polly Amy Long Willeford, Polly Amy Willeford, Polly Long Willeford, Polly Willeford. [S961] Find A Grave, online at http://www.findagrave.com, memorial for Polly A. Long Willeford, memorial no. 16262287, viewed on 14 Sep 2013. [S28] James Alonzo Matthews, Jr. and Lucille Pearce, comps., Pearce, Bartlett, Matthews, Smart, and Allied Families (Austin, Tex. : Eakin Publications, Inc., 1983), p. 124 (naming Polly Amy Long as his mother). [S28] James Alonzo Matthews, Jr. and Lucille Pearce, comps., Pearce, Bartlett, Matthews, Smart, and Allied Families (Austin, Tex. : Eakin Publications, Inc., 1983), p. 124 (naming Learh Rosetta Tabor as her mother). [S28] James Alonzo Matthews, Jr. and Lucille Pearce, comps., Pearce, Bartlett, Matthews, Smart, and Allied Families (Austin, Tex. : Eakin Publications, Inc., 1983), pp. 124-25 (naming William Willis Willeford as her father). [S28] James Alonzo Matthews, Jr. et al., Pearce [etc.] and Allied Families, above, pp. 124-25 (naming Learh Rosetta Tabor as her mother). [S28] James Alonzo Matthews, Jr. et al., Pearce [etc.] and Allied Families, above, pp. 124-25. [S28] James Alonzo Matthews, Jr. et al., Pearce [etc.] and Allied Families, above, p. 125. [S28] James Alonzo Matthews, Jr. and Lucille Pearce, comps., Pearce, Bartlett, Matthews, Smart, and Allied Families (Austin, Tex. : Eakin Publications, Inc., 1983), pp. 124-25 (naming William Willis Willeford as his father). [S28] James Alonzo Matthews, Jr. et al., Pearce [etc.] and Allied Families, above, pp. 124-25 (naming Learh Rosetta Tabor as his mother). [S961] Find A Grave, online at http://www.findagrave.com, memorial for John T. Willeford, memorial no. 16238149, viewed on 14 Sep 2013 (giving the date but not the place). [S961] Find A Grave, online, above, memorial for John T. Willeford, memorial no. 16238149, viewed on 14 Sep 2013 (giving the date as 12 Jan 1975). [S961] Find A Grave, online, above, memorial for John T. Willeford, memorial no. 16238149, viewed on 14 Sep 2013. [S961] Find A Grave, online at http://www.findagrave.com, memorial for Paul L. Willeford, memorial no. 16238223, viewed on 14 Sep 2013 (giving the date but not the place). [S961] Find A Grave, online, above, memorial for Paul L. Willeford, memorial no. 16238223, viewed on 14 Sep 2013. [S28] James Alonzo Matthews, Jr. and Lucille Pearce, comps., Pearce, Bartlett, Matthews, Smart, and Allied Families (Austin, Tex. : Eakin Publications, Inc., 1983), p. 133 (naming Samuel Hunter as his father). [S28] James Alonzo Matthews, Jr. et al., Pearce [etc.] and Allied Families, above, p. 133. [S961] Find A Grave, online at http://www.findagrave.com, memorial for Leonard Smith Hunter, memorial no. 50415466, viewed on 16 Sep 2013 (stating that he was born in Nov 1859 in Illinois). [S961] Find A Grave, online, above, memorial for Leonard Smith Hunter, memorial no. 50415466, viewed on 16 Sep 2013 (not giving the date or place). [S961] Find A Grave, online, above, memorial for Ellen Arnetta Tabor Inman, memorial no. 37990712, viewed on 16 Sep 2013 (not giving the date or place). [S28] James Alonzo Matthews, Jr. et al., Pearce [etc.] and Allied Families, above, p. 133 (giving the date but not the place). [S961] Find A Grave, online, above, memorial for Leonard Smith Hunter, memorial no. 50415466, viewed on 16 Sep 2013. [S28] James Alonzo Matthews, Jr. et al., Pearce [etc.] and Allied Families, above, p. 133 (naming Leonard Smith Hunter as her father). [S961] Find A Grave, online, above, memorial for Claudia A. Hunter, memorial no. 50415493, viewed on 16 Sep 2013 (naming Leonard Smith Hunter as her father). [S961] Find A Grave, online, above, memorial for Leonard Smith Hunter, memorial no. 50415466, viewed on 16 Sep 2013 (naming Leonard Smith Hunter as her father). [S28] James Alonzo Matthews, Jr. and Lucille Pearce, comps., Pearce, Bartlett, Matthews, Smart, and Allied Families (Austin, Tex. : Eakin Publications, Inc., 1983), p. 133 (naming Joel Cowan Inman as his father). [S961] Find A Grave, online at http://www.findagrave.com, memorial for Warren Wesley Inman, memorial no. 38496273, viewed on 16 Sep 2013 (giving the year and no other date or place information). [S961] Find A Grave, online, above, memorial for Warren Wesley Inman, memorial no. 38496273, viewed on 16 Sep 2013 (not giving the date or place). [S961] Find A Grave, online, above, memorial for Warren Wesley Inman, memorial no. 38496273, viewed on 16 Sep 2013. [S28] James Alonzo Matthews, Jr. and Lucille Pearce, comps., Pearce, Bartlett, Matthews, Smart, and Allied Families (Austin, Tex. : Eakin Publications, Inc., 1983), p. 133 (naming Ellen Arnetta Tabor as her mother). [S961] Find A Grave, online at http://www.findagrave.com, memorial for Ellen Arnetta Tabor Inman, memorial no. 37990712, viewed on 16 Sep 2013 (naming Ellen Arnetta Tabor as her mother). [S961] Find A Grave, online, above, memorial for Claudia A. Hunter, memorial no. 50415493, viewed on 16 Sep 2013 (naming Ellen Arnetta Tabor as her mother). [S961] Find A Grave, online, above, memorial for Claudia A. Hunter, memorial no. 50415493, viewed on 16 Sep 2013 (stating that she was born in Sep 1891 in Illinois). [S28] James Alonzo Matthews, Jr. et al., Pearce [etc.] and Allied Families, above, p. 133 (giving the date and county but not the city). [S961] Find A Grave, online, above, memorial for Claudia A. Hunter, memorial no. 50415493, viewed on 16 Sep 2013.